Rob Lambrecht is a Sales Consultant at Alignex, Inc. When Rob isn't helping his customers to improve their technology and processes, you’ll most likely find him mountain biking or playing golf. Will MBD Change Manufacturing Forever? 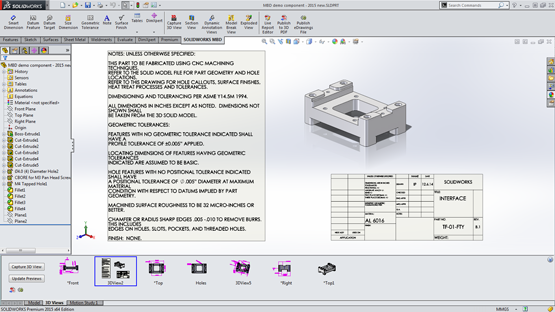 SOLIDWORKS Model-Based Definition (MBD) is an integrated drawing-less manufacturing solution for SOLIDWORKS. It helps companies define, organize, and publish 3D Product and Manufacturing Information (PMI), including 3D model data in industry-standard file formats. Unlike traditional 2D drawings, SOLIDWORKS MBD guides the manufacturing process directly in 3D, which streamlines production, cuts cycle time, reduces errors, and helps compliance with industry standards.